Seven-goal classics, unbelievable comebacks and resounding defeats. As we reflect on arguably one of the most exciting World Cups of recent times, we realize that there is a lot to learn from watching the most prominent international stage in soccer. In light of the past week’s stunning events, analysts continue to debate - what are the best recruitment strategies for building a winning World Cup team? Ninety-three percent of CEOs find that they need to change their tactics for attracting and retaining talent, but 61 percent don’t know where to start, according to PwC. With many possible approaches to both recruiting superstar talent and maintaining a reliable team, companies and national soccer squads alike must focus on proven strategies backed by best-of-breed technology. Entering the World Cup, the German national team was touted as one of the premier squads in the competition, highly regarded for its immense talent and maturity. Expectations were high, but the results could not have been more disastrous. Beset by an opening 1-0 loss to Mexico, followed by an even more heartbreaking defeat by South Korea, Germany bid adieu to Russia about three weeks earlier than most expected. Overconfidence, underperformance and failure to transition their soccer style left Germany on the sidelines watching. 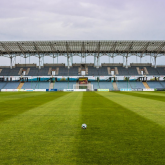 Whether suiting up for a sudden death soccer match or racing against a tight deadline, managing pressure and reacting adeptly to unforeseen obstacles are inherent challenges on both the soccer field and in the workplace. Recruiting players and employees who can strike this balance is vital. Building an agile team is no easy feat, as the business environment is continually changing. Recruiters and hiring managers should look for a candidate who can comfortably adapt and draw from a wide range of experiences to develop creative solutions to problems. Check out LinkedIn and identify candidates who have successfully transitioned from one industry to another. This is an indicator that a potential new hire is versatile, resourceful and open to opportunity. Adaptable people are ones who seek to improve and gain new experiences, and embrace new ideas. A setback in a career is not necessarily a bad thing either. An individual who can rebound and learn from mistakes makes a great teammate. A team that cannot thrive in changing conditions is a team that will not achieve long-term success. A chain is only as strong as its weakest link - a notion that rings true whether you’re looking at a soccer lineup or an organizational team. If this World Cup has taught us anything, it’s that a star player won’t win you the game. Just take a look at Argentina’s Messi, Portugal’s Ronaldo or Brazil’s Neymar, all of whom faced a premature exit from this year’s tournament. When members of a team complement each other’s skills and work together as a unit, their collective performance is always greater than what the member would have achieved at an individual level. According to iCIMS system data, employers rank GPA and a university's prestige low on the list of importance for entry-level job applicants, suggesting more sought after are prior practical work experience and core competencies. Look to fill vacant roles with candidates who have transferable skills, passion for the job and a unique perspective. Instead of trying to force together a group of individual superstars on "paper," build a team with chemistry and enthusiasm who support a common goal. This year’s World Cup has been dominated by unexpected twists and turns. A prime example is Russia’s Denis Cheryshev, who made his World Cup debut after an injury to star midfielder Alan Dzagoev - the catalyst that began a remarkable rise to success. The second-string attacker emerged as one of the most unlikely stars of the tournament, tallying four goals and leading his team to a surprise quarterfinal run. So, what can we learn from the former glorified “bench warmer?” Keep in contact with your assets. If you know of an impressive past job applicant who may not have been the perfect fit for the position at the time, keep in touch. You never know when you’re going to need to call for backup, so stay connected by adopting a strong candidate relationship management tool (CRM). A CRM tool will increase the reach and efficiency of your applicant communications by automatically sharing personalized corporate updates and available job openings, which will help to preserve interest among prospective job seekers while nurturing relationships with them. Whether you’re looking to recruit talent for a premier national soccer team, a growing law firm, a creative agency or a multinational software development company, the principles for developing a successful work environment remain consistent: build a team of the right people for the right positions. Consider emotional tolerance, mental fortitude, diversity of ideas, synergy and the ability to have fun. Today's sophisticated job applicant expects an element of fun to their workday and often value socializing outside of the office, realizing that positive relationships with colleagues result in a more relaxed and productive environment. Seek out a potential employee who maintains a healthy work/play balance - it's good for the team. To learn more about how to proactively reach out to candidates, read our article, “Recruitment Ideas for Reaching Competitive Candidate Pools”.